Get behind the wheel of your dream car with this once-in-a-lifetime exotic auto racing experience in Miami! Drive an Audi, Lamborghini or Ferrari at top speeds around a professional racetrack and feel your adrenaline pump as you conquer lap after lap in the driver’s seat, just like the pros. You’ll receive side-by-side coaching from a professional racing instructor, and enjoy snacks and drinks from the Sky Box before or after your ride. 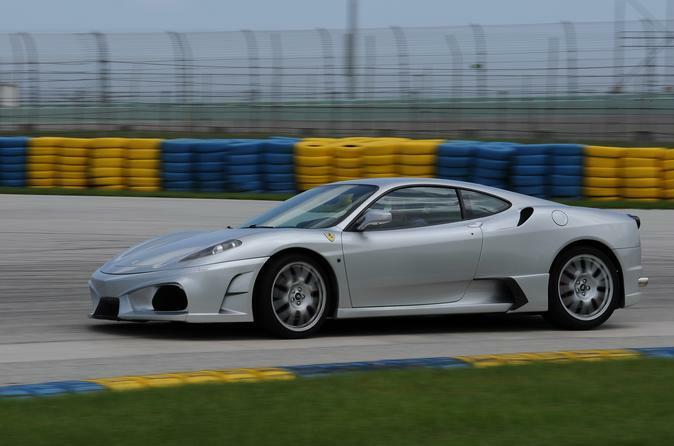 Head to the Homestead-Miami Speedway or the Palm Beach International Raceway for your exotic auto racing experience. When you arrive, meet your professional racing instructors and choose your car: an Audi R8, Lamborghini Gallardo or Ferrari F430. You’ll receive a 30-minute safety orientation, followed by a two-lap test ride in a demonstration vehicle to get you comfortable on the track. Then, hop in the driver’s seat of your chosen vehicle and rev up your engine! Feel your adrenaline rush as you drive along the racetrack at top speeds -- there are no speed limits, so you can drive as fast as you want, topping speeds of 135 mph (217 kph)! A professional racing instructor will be in the passenger’s seat to provide side-by-side instruction and encouragement throughout your ride. Your instructor has at least 20 years of experience in Indy car racing, Grand Am racing or Touring car racing, so you’re in good hands. Before or after your ride, relax in the air-conditioned Sky Box overlooking the pit lane. Watch other drivers race around the track as you enjoy a light snack and refreshments.